The DAX despite the BEARISH sentiment for the last 6 weeks, has only fallen at most 4% from the recent high, and actually has NOT broken support, effectively rangebound between 7140 and 7460. 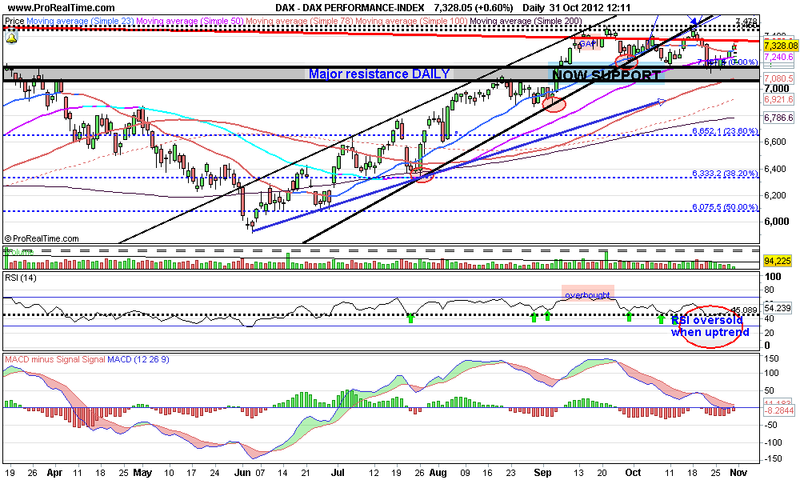 Looking at the RSI and MACD the break out over DAILY resistance resulted in the market being overbought. Recent action has relieved those conditions and with quite high bearish retail sentiment, we could see a run to new highs if the market moves higher and breaks out over 7460. You think your commute is BAD?! !